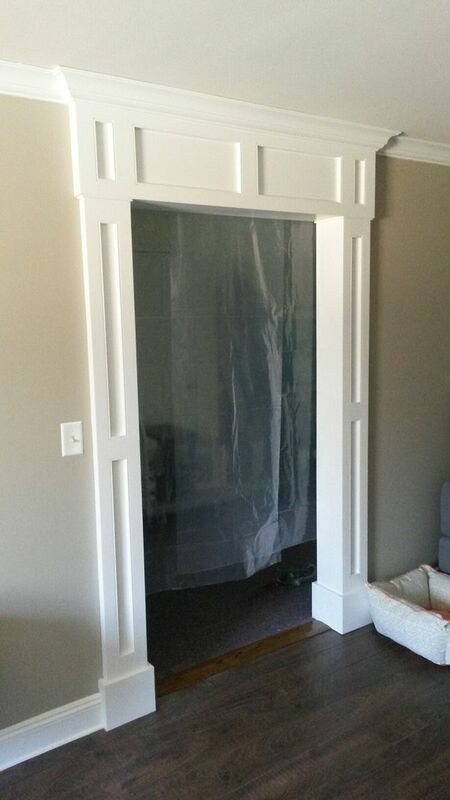 We made this door arch for a local designer's showroom. Although it looks very fancy, it is made entirely of paint grade materials to manage the costs. It could also be made from hardwoods or stain-grade pine or poplar. The arch is about 8 feet to the ceiling and 58 inches wide. We build these in the shop and then install them at the customer site, including flowing the existing moldings around the archway. We can do these in multiple styles, including curved arches and arches that incorporate carving and turnings.